The Louvre's Egyptian collection is so packed with priceless wonders it's hard to pick a favourite. This is one of mine - the gilded coffin of Theban ruler, Intef V (E. 3019). Intef V lived during a dramatic time - the Second Intermediate Period - around 1570 B.C. New arrivals, eventually known as the Hyksos, had moved into a welcoming environment: a settlement of Asiatics in the Eastern Delta, and slowly broadened their influence. Eventually, the great city of Memphis fell under their control. Further south in Thebes, Intef V’s ruling family considered themselves to be the true heirs of Egypt’s great past. They declared their independence from Hyksos rule and led a revolt against who they saw as foreign occupiers. The first three Hyksos kings used the Egyptian term, “heqa khasut”, “Ruler of Foreign Lands”, and back to foreign lands they were destined. The Hyksos were eventually driven out of Egypt and the Theban ruler who led his army on the battlefield, Ahmose, became the first ruler of a reunited Egypt—the New Kingdom. Love ancient Egypt? 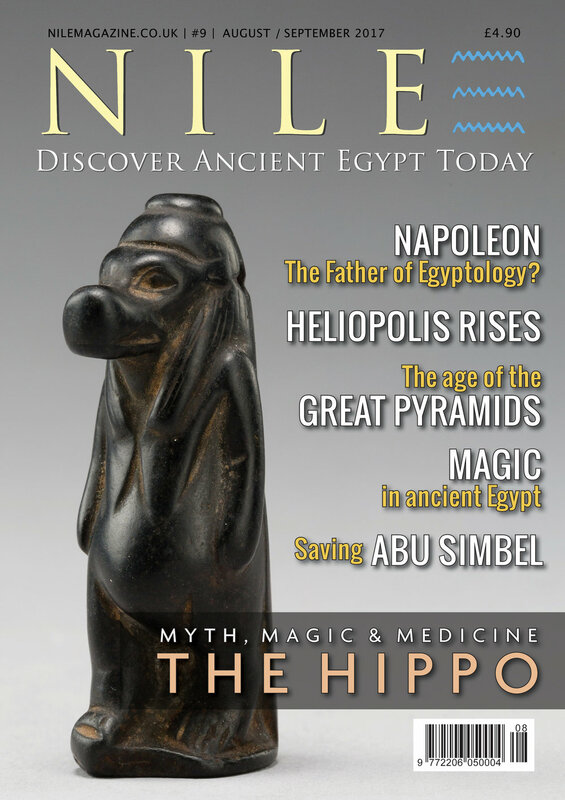 Subscribe and get Nile Magazine delivered to your door, anywhere in the world. See the "Subscribe" page for more details.